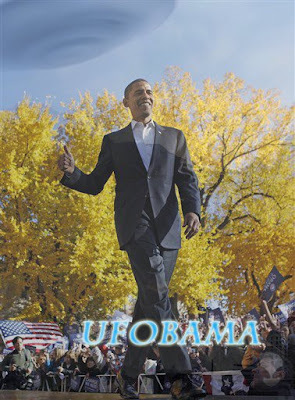 President Barack Obama's response to the question of UFOs and Extraterrestrials is interesting as it suggests Obama is in the know of things, hence adopted an extremely cautious stance on the greatest story of our times. He remains focussed on serving humanity however not ignoring the extraterrestrial phenomena which has been misconstrued to a great extent by the mainstream media and disinformation propaganda black ops. Jeff Peckman, who came to national attention earlier this year when he launched a ballot initiative to create an Extraterrestrial Affairs Commission in Denver and later announced that he possessed actual footage of a live ET, continues his campaign to thrust alien life into the political limelight. This week, he invited Barack Obama to hear a briefing on UFOs and extraterrestrial life from a private citizen's perspective. Adjust your tin foil hat and find out what Peckman has to say to the presidential candidate and why he wants to say it before the election. President Reagan’s UFO/ET briefing at Camp David March 6-8, 1981 is described in a twenty-one page alleged transcript that was declassified from “Top Secret” last October 2007. The document suggests that CIA Director William Casey and several other unnamed advisors revealed facts about UFOs and ETs that clearly astonished Reagan. The day after his inauguration, President Jimmy Carter requested information on the UFO/ET issue but was denied the material by CIA Director George Bush Sr. Key Republicans like Bush Sr. are reported to have a big role in keeping information about UFOs from the public. President Clinton was also not allowed a briefing from high level government officials. Instead he had to rely in large part on credible witness testimony from former high-ranking military, intelligence agency, and government contractor personnel organized by Dr. Steven Greer of the Disclosure Project. · To hold open, secrecy-free hearings on the UFO/Extraterrestrial presence on and around Earth. · To hold open hearings on advanced energy and propulsion systems that, when publicly released, will provide solutions to global environmental challenges. · To enact legislation which will ban all space-based weapons. · To enact comprehensive legislation to research, develop and explore space peacefully and cooperatively with all cultures on Earth and in space. There is no indication that Peckman plans to make a similar offer to Senator McCain. Perhaps McCain is one of those “key Republicans” keeping aliens and their technology under wraps.